Camp Woodland | Dare to Explore Camp Activities! Dare to Explore Camp Activities! 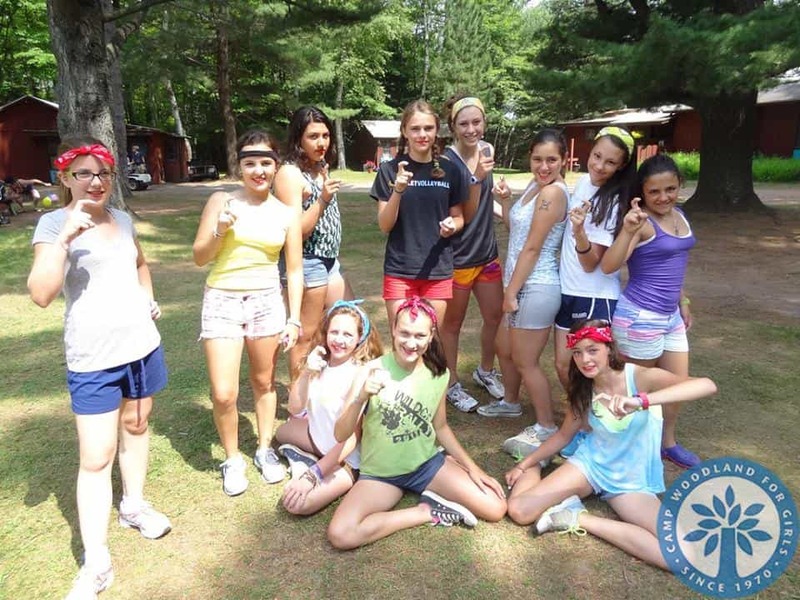 Camp is the place where girls can try new things, meet new friends, and do what we love. If you have never ridden a horse, shot a rifle, or even played tennis, camp is the perfect place to try it. When I first came to camp in 2009, I hadn’t tried half of the activities available to me. I was a little intimidated so I signed up for activities that I was familiar and comfortable with. Later, I decided to try something new: horseback riding and archery (even though horses terrified me). The cool thing about camp is that no matter what you do, there are people there to ensure that everything is fun and worthwhile. If I had the option or time to do every single activity everyday, I would do it in a heartbeat. Although I’m not the master of farm zoo or arts and crafts, the mere act of doing something new is what’s amazing about camp for me. Living in a cabin with strangers is also intimidating. My first year, I knew no one but my sister who was in a different cabin. Shying away from everyone was my first instinct. The idea of making new friends was scary, but eventually, I formed the strongest friendships I had ever made that are still strong today. After that first year of camp, I realized that it wasn’t different activities or strangers that was intimidating, but it was the endless opportunities to try new activities, meet new people and find a home away from home. “Dare to Explore” for this year’s theme simply means that once you take the leap to try new things and make friendships, you’ll find the heart of camp that makes girls like my sister and I come back year after year.